As a working parent, nobody has to tell you what stress feels like. You’ve juggled school with raising your family and work and managed to make it through just fine. But what if all that stress evolves into something bigger? A phenomenon in the healthcare community—nursing burnout—has become just that. Everybody gets stressed out sometimes, but over a longer period of time, it can become burnout—in other words, emotional exhaustion and disengagement. Many nurses and nursing students can experience this feeling of burnout because of the rigor and intensity of their work or program. While nursing burnout may be a reality for some, it doesn’t have to define a nursing career. Keep reading to learn more about nursing burnout and hear experts weigh in on why it happens. Learn how nursing burnout is affecting the healthcare community and take away tips on how you can avoid it. You may be wondering, what does burnout mean? How do you define burnout? Burnout is categorized as physical, mental and emotional exhaustion. While stress is defined by over-engagement, burnout is defined by disengagement. Burnout can lead to dulled emotions and detachment. It undermines motivation, leaving a sense of hopelessness. For those experiencing burnout, every day is a bad day. Burnout not only affects nurses, but also cascades onto the patients they care for. Studies show the link between nursing burnout and an increased likelihood of infections in patients. And hospitals with high burnout rates tend to have lower patient satisfaction overall. Nursing burnout isn’t something only healthcare professionals should worry about—it’s something that affects anyone ever receiving care in a hospital. Why do nurses burn out? Many nurses cite their long hours as a main source of fatigue. Some nurses work long, 12-hour shifts. Others may find themselves putting in overtime or being called in when staffing is short. They may also have difficulty leaving on time when their shift is over. Working longer hours can result in greater fatigue and an increased chance of error in nursing. Long, tiring shifts contribute to burnout in nursing throughout a career. Nurses are notoriously selfless—many feel it is their calling to care for others. However, nurses driven by a desire to care for others are actually more vulnerable to nursing burnout. 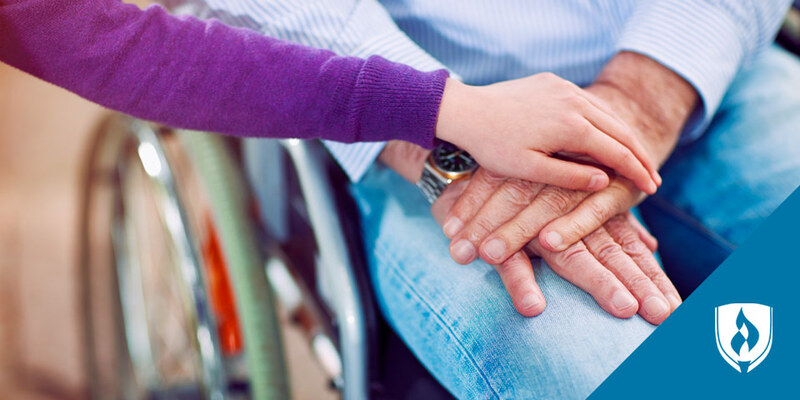 When caring for patients, raising a family and working long, hectic hours, nurses can neglect their own needs. Over time, this can become a major cause of burnout in nursing. Nurses have a lot on their plates—and now more than ever. Nursing responsibilities have actually increased over the past 15 years due to advancements in technology and documentation. 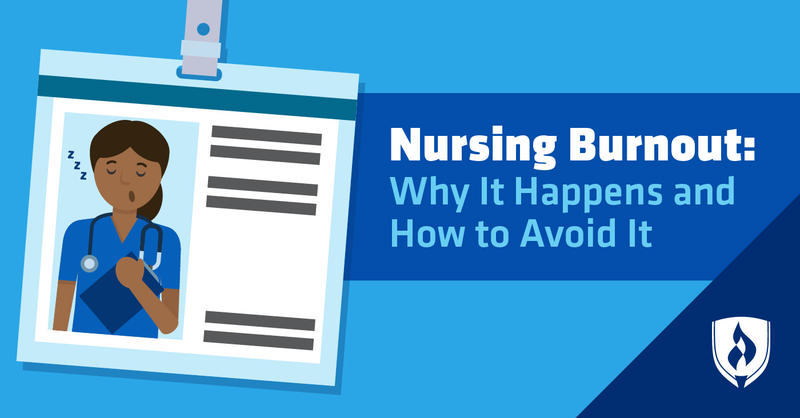 The extensive workload can cause nurses to feel overwhelmed or experience a loss of control. Short-staffing in hospital settings makes for busier, more hectic days for nurses. The fast-paced workload can cause nurses to feel overwhelmed and stressed. Over time, this stress can lead to nursing burnout. It’s hard for anyone to keep thoughts of the workday out of mind each night—but it’s even more difficult for nurses. Daily exposure to sick or dying patients can cause emotional baggage and grief to build over time and creep into personal lives. When getting attached to patients proves all too easy, nurses may face consistent loss with little time to decompress or grieve. These emotions can wear nurses down over time and cause burnout when they aren’t dealt with in a healthy manner. How can you avoid nursing burnout? It’s just like how flight attendants instruct you to place your oxygen mask on first before helping others, says Jeanne Dockins, RN, BSN, CNOR. When you’re in a profession that prioritizes caring for others, it’s easy to forget about yourself. But putting yourself first can be a useful way to ward off nursing burnout. Practice what you preach by doing something for yourself that you enjoy every day, no matter how small. Prioritize your mental health and schedule intentional time to relax and unwind—and don’t forget to make sure you’re getting enough sleep. Don’t ignore growing feelings of stress or grief. Addressing these can help keep burnout at bay. Find a good listener to vent to or confide in after a tough day. Or, after a particularly taxing shift, debrief to someone in a way that respects your patients’ privacy so you can leave your emotional baggage at work instead of bringing it home. Stress management techniques, such as meditating, exercise and journaling can be extremely helpful for nurses to blow off steam as well. Just by reading this article, you’re arming yourself with the information you need to protect yourself against nursing burnout. Be cognizant of the signs of burnout in yourself—exhaustion, alienation and disengagement—and reach out for help sooner rather than later. Nursing burnout can occur anytime—whether you’re burning the candle at both ends as a student or working your way up the ranks as an RN—but it doesn’t have to be this way. 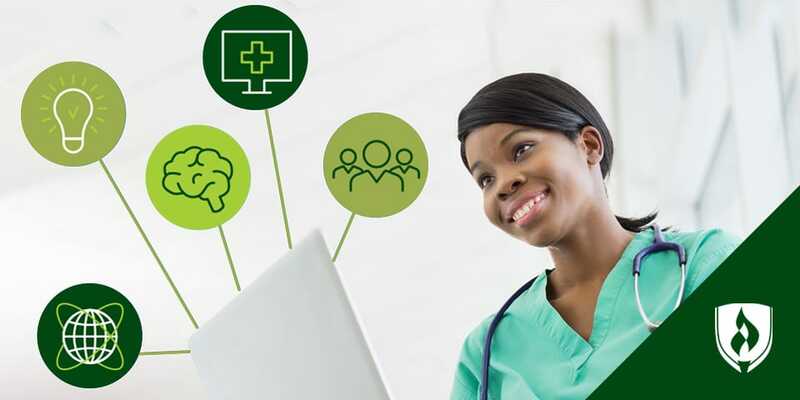 Utilize preventative measures and strategies to preserve your passion for nursing and maintain your well-being as you begin your career. EDITOR'S NOTE: This article was originally published in June 2015. It has since been updated to include information relevant to 2018.